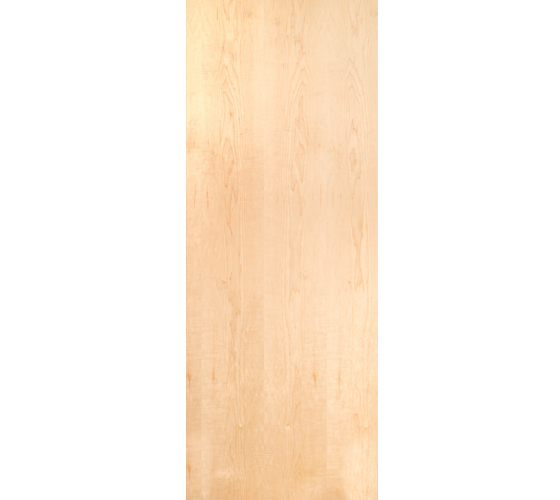 Plain sliced white maple door skins are graded according to WDMA IS-1A and AWS Custom Grade Architectural “A” grade wood veneer (minimum thickness 1/50” before sanding). Plain sliced white maple veneer flitches from Lynden Door are book matched, where every other piece of veneer is turned over so adjacent pages are opened like two adjacent pages in a book. The veneer joints match, creating a mirrored image pattern at the joint line.